What is Cropping? Cropping is the process of selecting one or more areas of an image and discarding the rest. 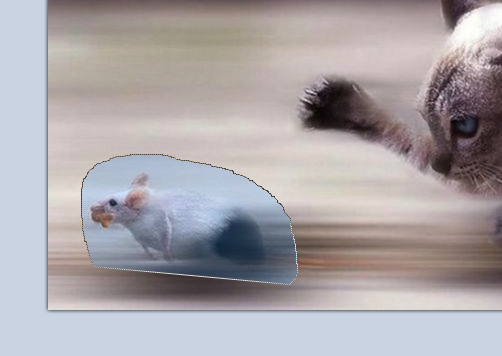 For example, if you have an image of a cat and a mouse, you can select just the mouse and discard the rest of the image. Cropping usually reduces the size of an image as a consequence of selecting less than the whole image. A square or rectangle freely within the image. A fixed ratio square or rectangle where the size of the square or rectangle may change but the ratio will stay the same e.g. 6:4. A fixed size square or rectangle where the square or rectangle stays the same size but can be moved around the image. Lasso an area by selecting from an origin point and defining an area by moving the cursor as in the example below. Select multiple areas using one or more shapes within the same image.